Celebrating Fourth of July in Alaska is a celebration like no other. Alaska is known for its wildlife and outdoor activities, and with July’s temperatures, it makes it a day and experience to remember. Summertime in Alaska is warm, and the sun shines for almost 19 hours a day. If you will be celebrating Fourth of July in Alaska this year, be sure to add visiting Anchorage to your list. Anchorage is Alaska’s largest city, and there is so much to do. Your day here in Anchorage will be packed with fireworks, sport games, food, and fireworks. The parade in Anchorage includes time period costumes from the Revolution and is a family- fun experience for everyone. If you are feeling active on this festive day, you can take part in Mount Marathon annual Fourth of July race. The Mount Marathon Race starts in downtown Anchorage and goes all way up to Seward and then back. Many people come from all over Alaska to take part in this patriotic race, while others travel just to watch. Fourth of July in Alaska wouldn’t be complete without a trip to Fairbanks. A day in Fairbanks will keep you busy all day long. Here, you will have fun with tons of entertainment, food, music, fireworks, baseball games, fishing, hiking, and even an Independence Day 5k run. While you’re in Alaska, why not combine two popular United States holidays- Fourth of July and Christmas? Luckily for you, the North Pole is in Alaska, and it loves to celebrate Fourth of July. Just outside of Fairbanks, Alaska has its very own holiday- themed town. From Christmas theme streets, restaurants, and shops, you can experience Christmas in July. 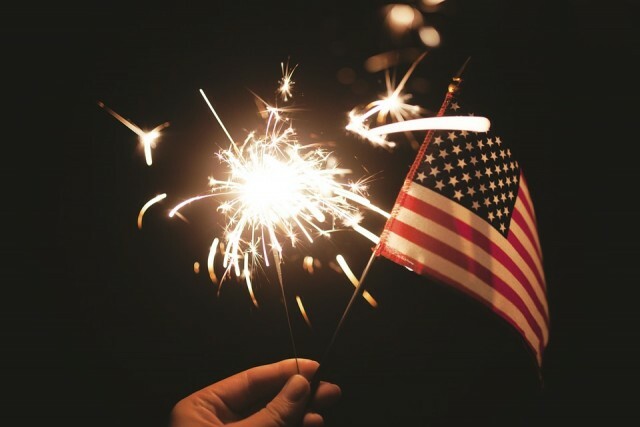 The North Pole sets up a Fourth of July festival that includes many activities such as “The Amazing Race,” a pancake breakfast, a children’s bike decorating contest, and a parade. There are over 50 vendors that have food, games, and entertainment. ← To Idle or Not to Idle? What do the Experts Say?